The USS Thresher’s sinking forever changed the lives of the families of those lost. 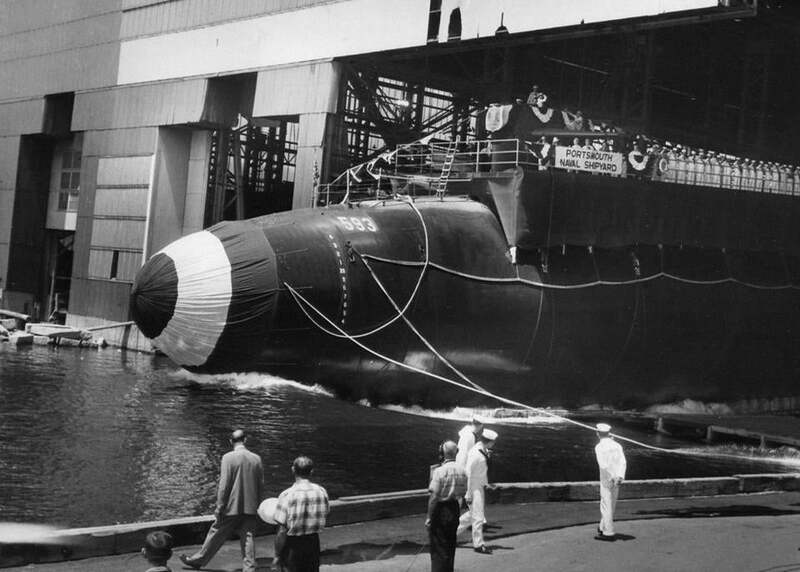 It also changed the way the US Navy built and maintained submarines. On April 10, 1963, the USS Thresher was conducting deep-dive tests off the coast of Massachusetts when disaster struck. The submarine sank, killing all 129 people aboard. The tragedy forever changed the lives of the families of those lost. It also changed the way the Navy built and maintained submarines. And soon, if all goes according to plan, a new granite monument at Arlington National Cemetery will be dedicated in memory of the men who died aboard the USS Thresher, and the legacy that they left behind. “Every man and woman who’s served on a submarine since owe their lives to these guys,” said Kevin Galeaz, president of the USS Thresher Arlington National Cemetery Memorial Foundation, the nonprofit that raised nearly $60,000 in donations to cover the cost of the memorial and its future maintenance. SUBSAFE is the Navy’s submarine safety program that was established in response to the sinking of the USS Thresher. “Prior to the loss of the USS Thresher, we lost an average of one sub every three years,” Galeaz said. Investigations into the USS Thresher later determined that a ruptured pipe probably led to the submarine’s demise. Military officials believe this could have flooded the engine room, and the water could have caused an electrical failure that shut down the nuclear reactor. When the main ballast tank blow system failed to work properly, the sub couldn’t surface and it slipped down into the depths of the ocean, where it imploded. On Monday, Galeaz learned that the secretary of the Army approved the proposal for the USS Thresher monument, bringing it one step closer to becoming reality. Galeaz said a dedication ceremony to unveil the new memorial could be held as early as fall 2019, or possibly in the spring.